Dublin Castle, the traditional symbol of political power in Ireland, was the venue for both the conference and the Pop-Up museum. 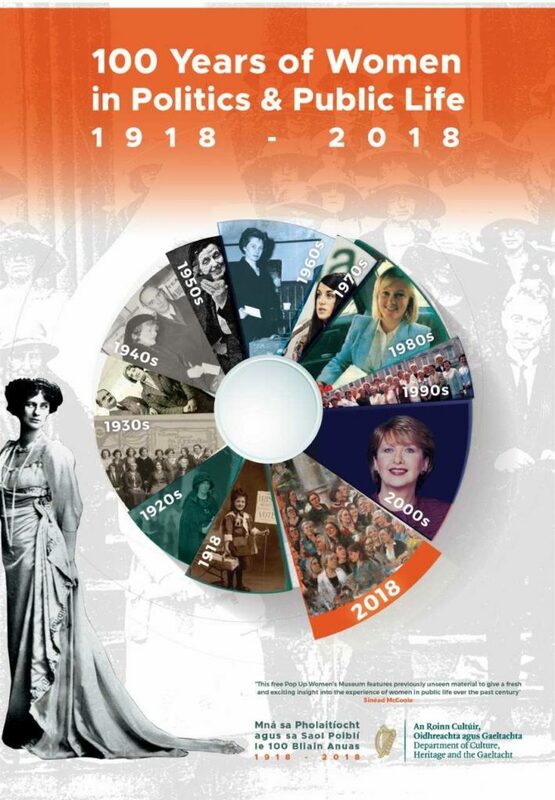 On the inauguration night, the 14th December, the Minister for Culture, Heritage and the Gaeltacht, Josepha Madigan TD, made the official opening in front of a great audience. 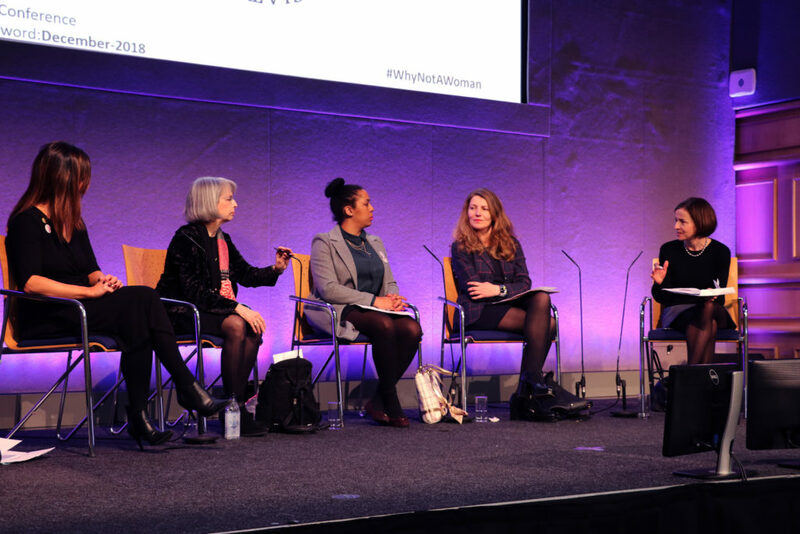 Other speakers were Tania Banotti, Director of Creative Ireland, Sarah-Ann Buckley, President of WHAI, and Curator Sinéad McCoole. Feminist poet Elaine Feeney concluded the inauguration ceremony with a reading, before the doors of the Pop-Up Women’s Museum opened. 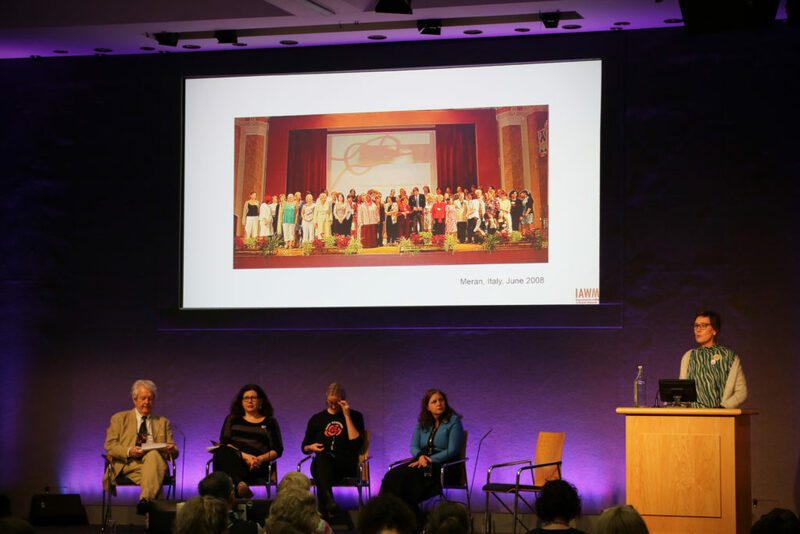 The second conference day, four different panels elaborated on Irish women in politics, activism and history. 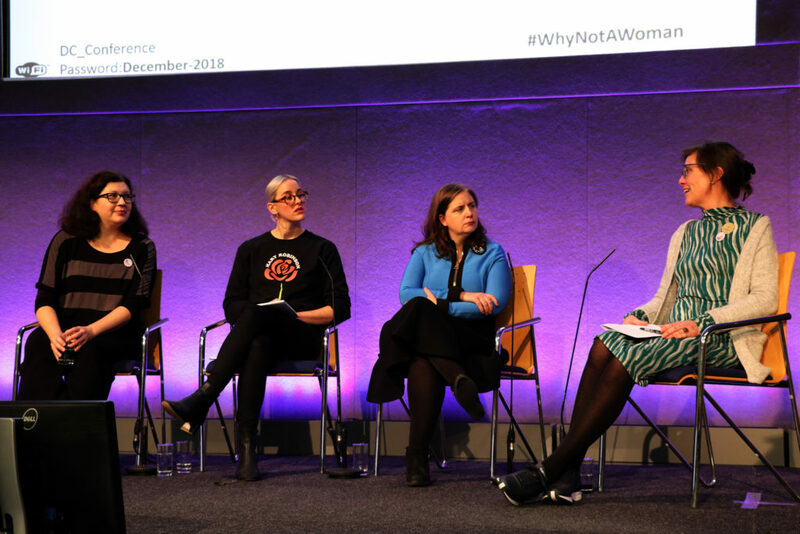 IAWM’s president, Mona Holm, participated in the second one, named “Collecting and Presenting Women’s Material Culture“ together with Kate Cunningham from the Online Women’s Museum of Ireland, Dr Emily Mark – FitzGerald from University College Dublin and curator and historian Sinéad McCoole.